Escape City puts you in the middle of a real-life adventure you’ll never forget! Work together with your team to find clues, solve puzzles and escape before the time runs out. Escape rooms provide an out-of-the-box entertainment experience that’s a break from the same-old, same-old. Escape City’s assortment of themed rooms and unique blend of puzzles means there is something for everyone. Escape City’s rooms make you feel as if you’re actually in the story. Our rooms are designed in consultation with theatrical set design experts. Meaning you will quickly learn that attention-to-detail is our middle name. Escape City’s games put your group’s communication, problem-solving and collaboration skills to the test. Nothing says ‘teamwork’ like working together under pressure to achieve one clear goal: freedom! You and your family made a deal with the lawyer and STOLE Uncle Frank's inheritance. At first all was well, and you were rich, but things seem to be getting a little bit... strange. Now cousin Kris is sick... which just confirms it... Uncle Frank has cursed your family from beyond the grave. Can you stop the old man's curse before it's too late? Book this adventure in Edmonton. Book this room through either our Edmonton or Saskatoon location! Find video trailers, difficulty rankings, and more information on all our escape rooms in Edmonton and Saskatoon here. 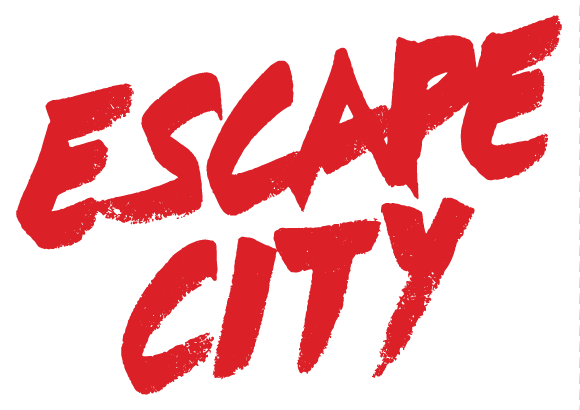 KNOW SOMEONE WHO'D LOVE TO TRY ESCAPE CITY? GIFT SOMEONE AN ESCAPE ADVENTURE! Keep up with the latest news and follow us on our YEG or YXE Instagram.